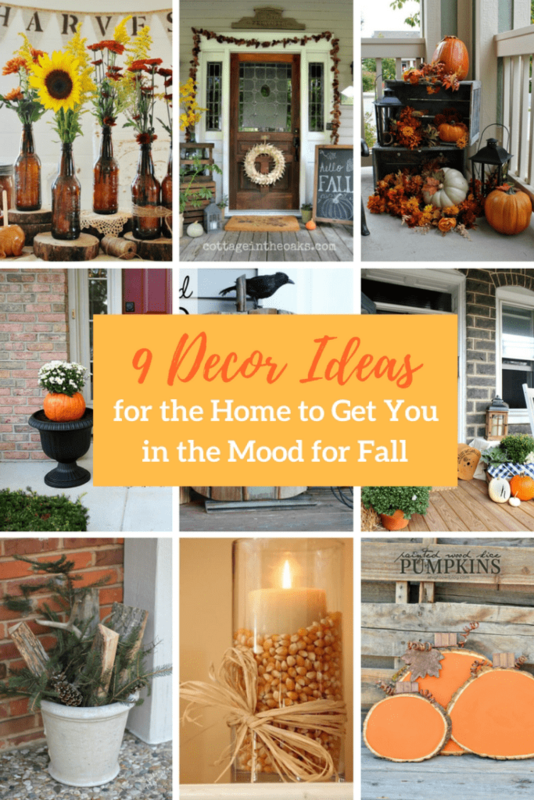 I love these 9 decor ideas for the home to get you in the mood for fall. I am so excited about this time of year. I wish we lived in an area where the leaves change and it’s sweater weather. But, I’m in Florida, and we have to make do down here. 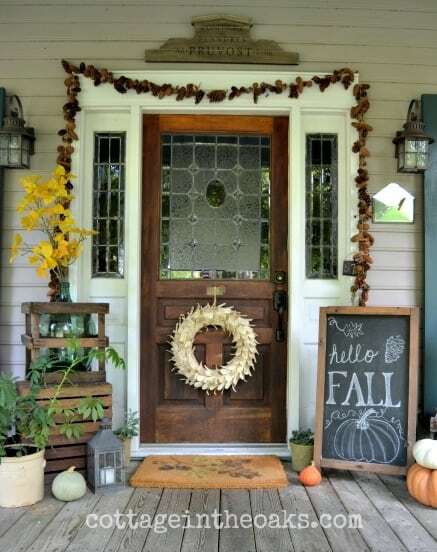 So, to help get in the mood, here are some fun ways to decorate. I love this idea. 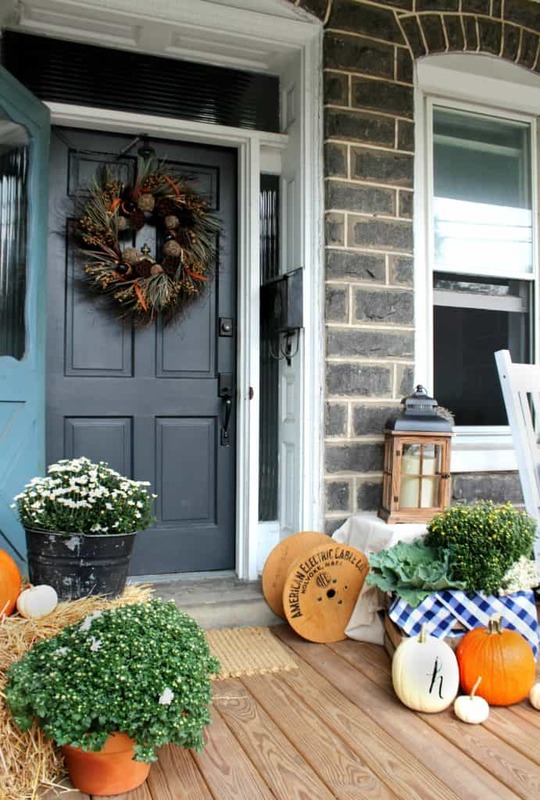 Plastic pumpkins are cheap, they can transform your porch, and you can use them year after year. I absolutely love this idea. 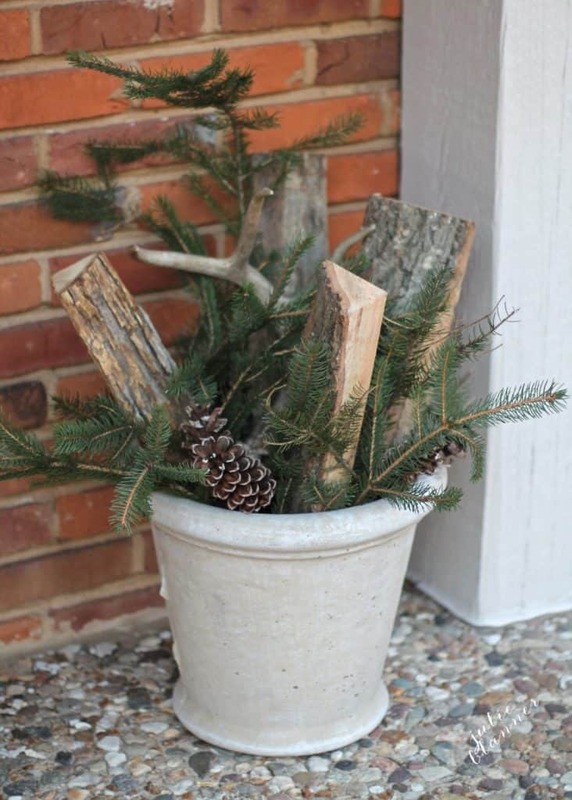 Many of the stores that sell Christmas trees will gladly give you some pine or evergreen branches for free. Julie Blanner adds Christmas lights later on in the season, making this last a long time. 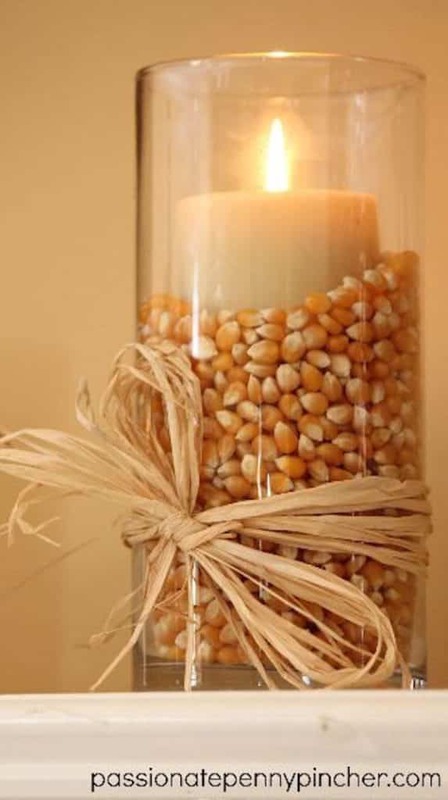 Decorating with popcorn kernels is such a fun idea. You could also use candy corn to decorate the sides and add some more color. 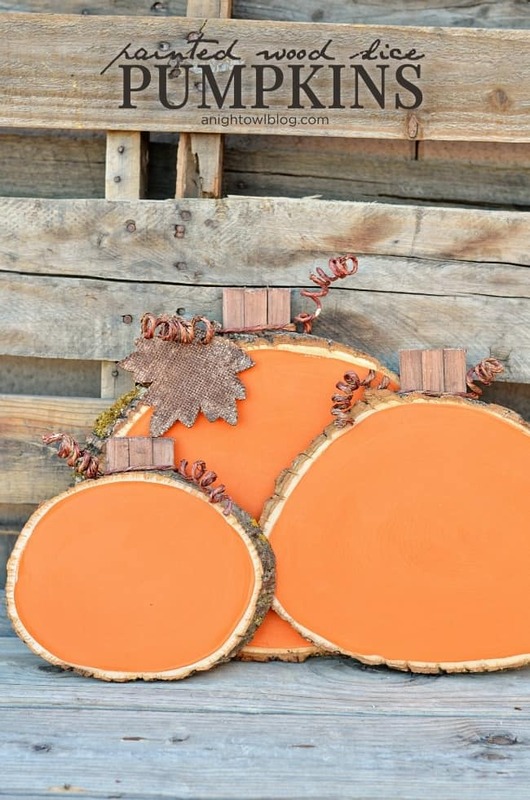 These pumpkins are super cute, inexpensive, and you can even get the kids involved. 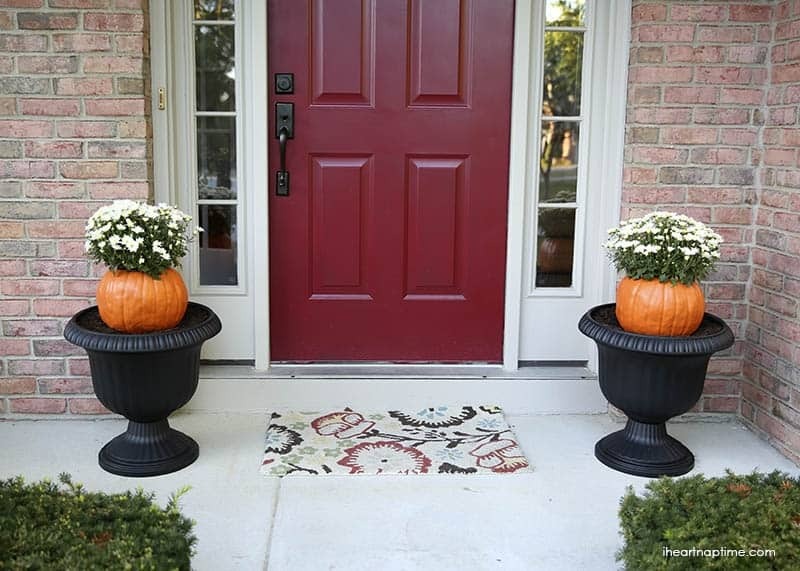 I’d love to have these on my front porch! Raise your hand if you love root beer! 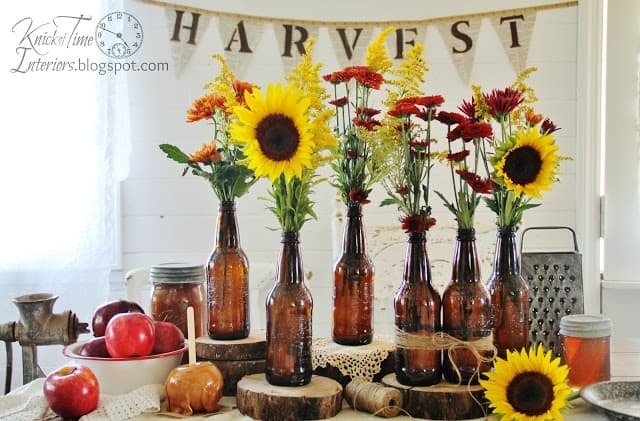 This fall centerpiece is such a fun, whimsical home decor. It’s easy, inexpensive, and turned out super adorable. 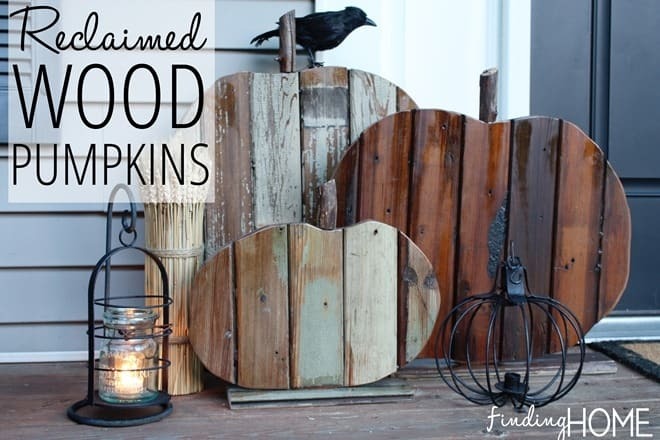 The reclaimed wood pumpkins are a great way to get you in the mood for fall. I’m ready to go make some now. This is truly an inspiring porch. I love the decor, and I’m ready to go have a seat in the rocking chair with a warm cup of coffee. 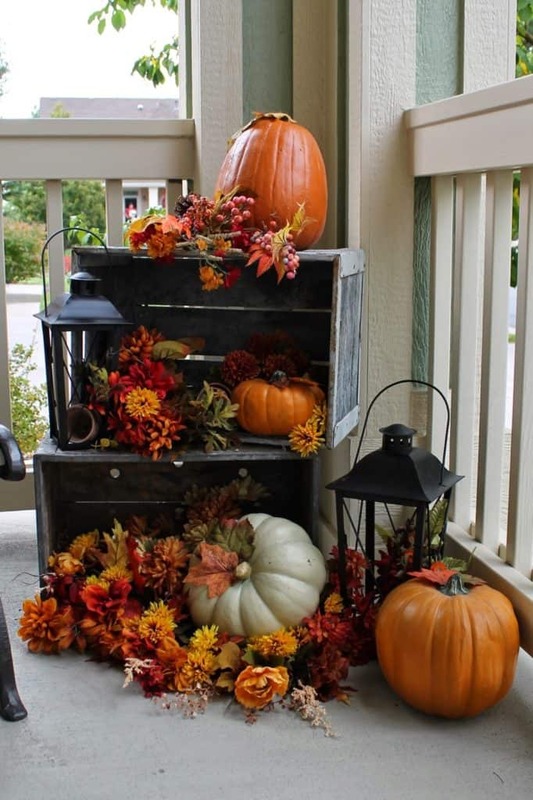 Southern Seazons has some great ideas for front porch decor. A lot of these items can be found at the dollar store, so you’re not going broke trying to decorate.